Good tools are the best basis for high-quality and economic production processes. This is why aha! designs and makes all its own tools. We use state-of-the-art CAD/CAM systems and machining centres for this, e.g. 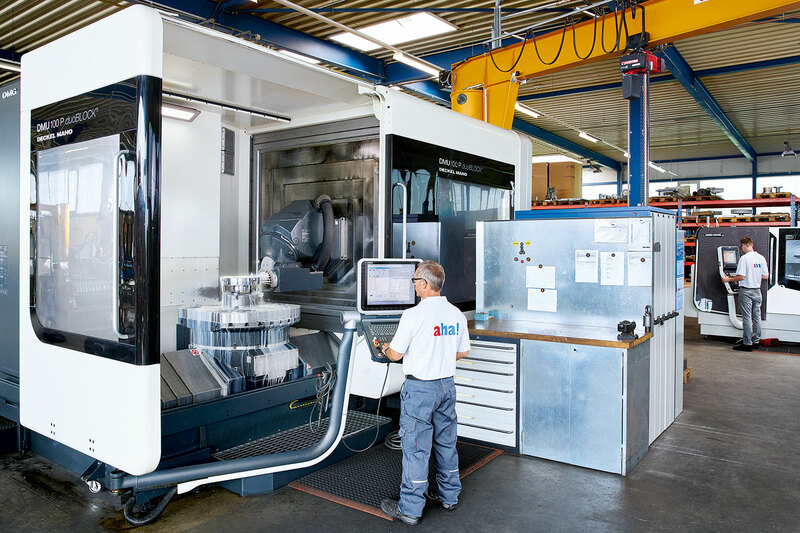 our 5-axis milling centre, and can handle workpieces of up to 1000 mm in diameter. We make tools with diameters of up to 650 mm, including milling and drilling, on our new CNC turning machine which was installed in 2016. 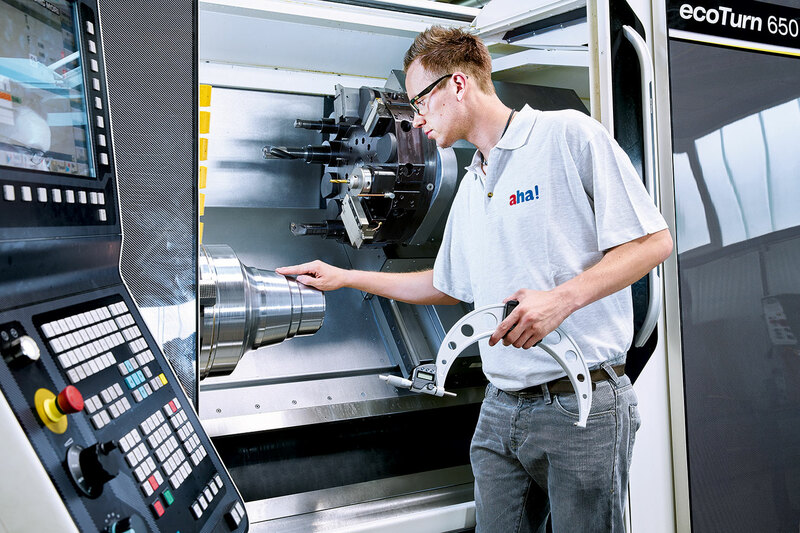 As is the case with our 5-axis milling centre, the CAD tool designs can be input directly into the CNC turning machine through our network with CAM software. For a significant improvement in efficiency. aha! also comes up with impressive solutions to challenging problems with special requirements. Our know-how and expertise also prompted the DLR (German Aerospace Center) to seek out our services for a project which precious few metal spinning factories in Germany have the capability to carry out, commissioning us to make complex reflectors for the world’s largest high-performance solar facility which is currently being developed in Jülich. The most important advantage of not having to engage external toolmaking companies is that there is no need for time-consuming discussions, complicated coordination processes and long journeys. All the main tools for our orders can be made, modified or repaired at any time quickly and cost-effectively. The considerable time and cost savings are quantifiable factors in this regard, especially in connection with new designs or product changes but also after defects. 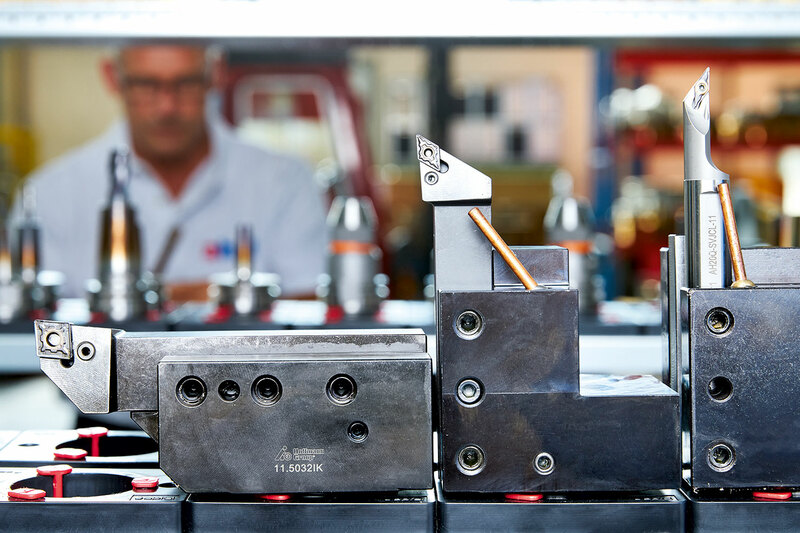 Our toolmaking service is also offered at cost price and is therefore much more cost-effective than external production. Another important point is that many steps can be simplified or omitted through intelligent toolmaking, thereby reducing the production costs. It is also possible to test new designs in order to maximise effectiveness, achieve even better results or minimise further steps. We make tools of all kinds to individual customer specifications.